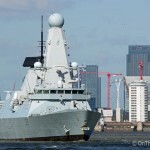 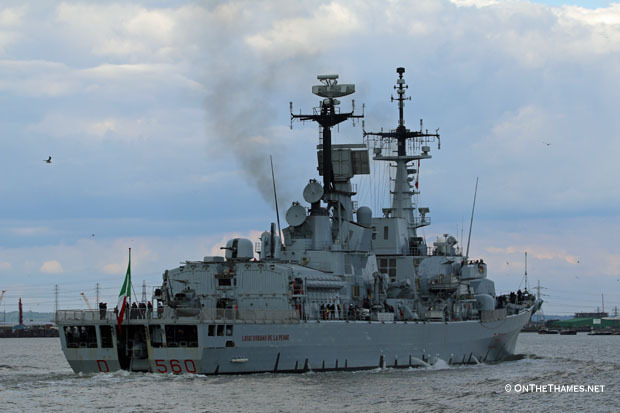 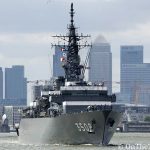 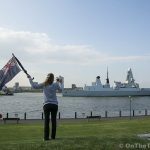 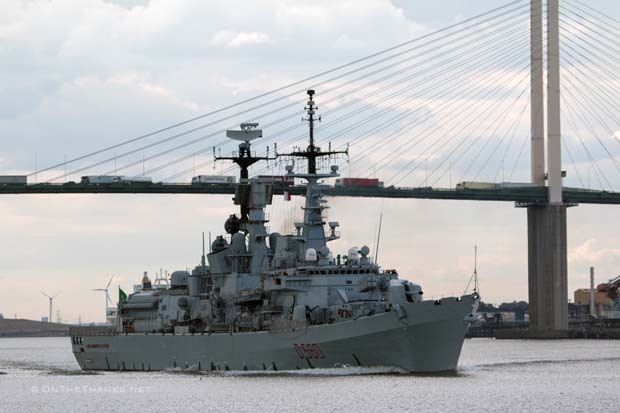 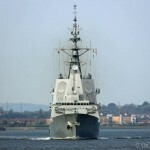 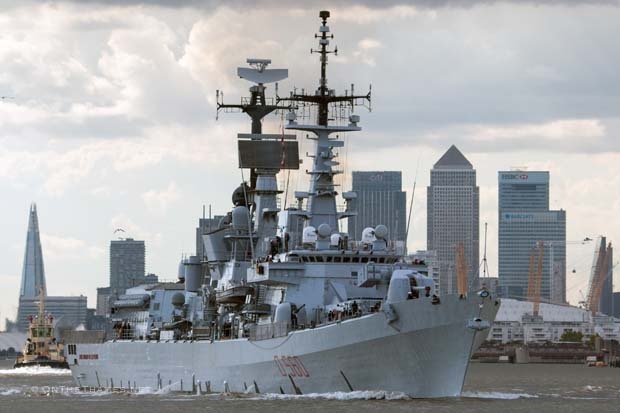 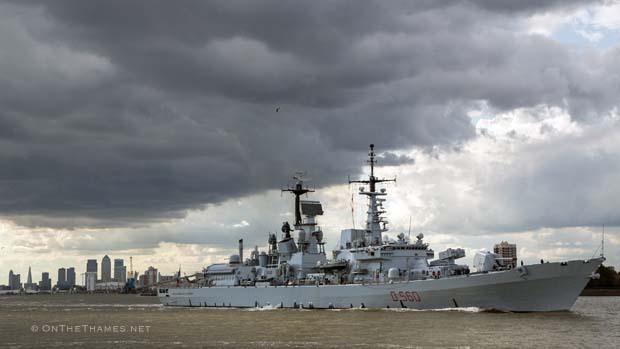 THE ITALIAN warship Luigi Durand De La Penne departed London yesterday afternoon. 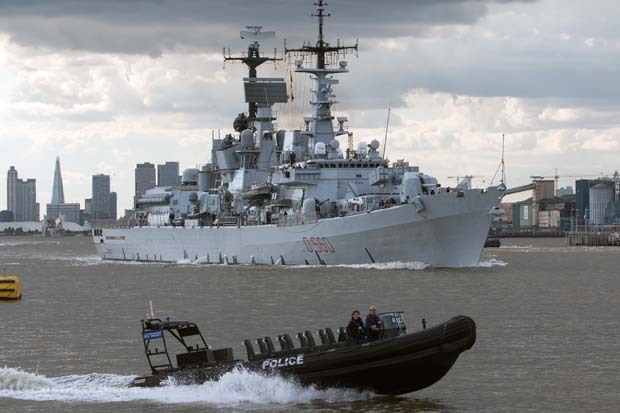 The guided-missile destroyer has been in the capital since last week, moored at West India Dock with officers in training on board. 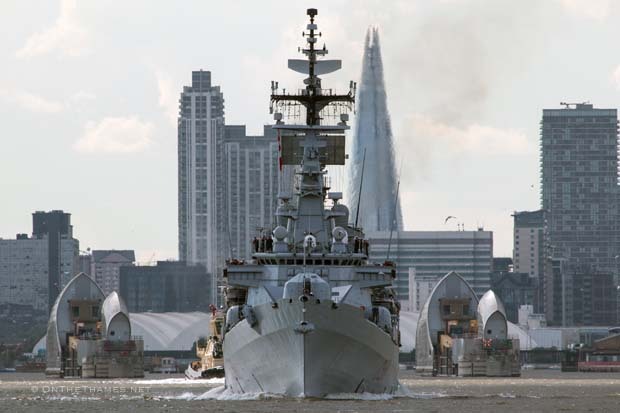 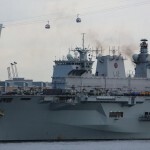 While she was in London, the warship was open to the public on four days and also hosted receptions and events on board. 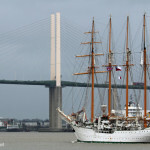 She was out of the docks by about 4pm yesterday and then made her way down river under a moody, cloudy sky.